Street side shopping is at its best in Bangkok. Regardless of where you are, you’ll find yourself experiencing déjà vu throughout the city, as you pass vendor after vendor selling everything from tacky Bangkok gear to cheap clothing. 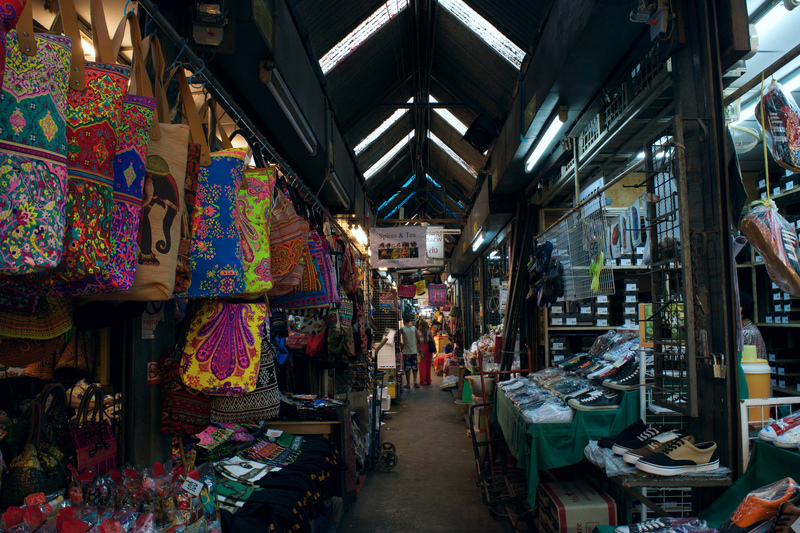 That being said, Bangkok is home to some of Southeast Asia’s most prominent markets. Here are Bangkok’s best night markets and bazaars you can’t miss while traveling through Thailand. Located a mere five-minute walk from BTS Skytrain stop Mochit is JJ Green Night Market. This is one of our favorite markets because of its size. 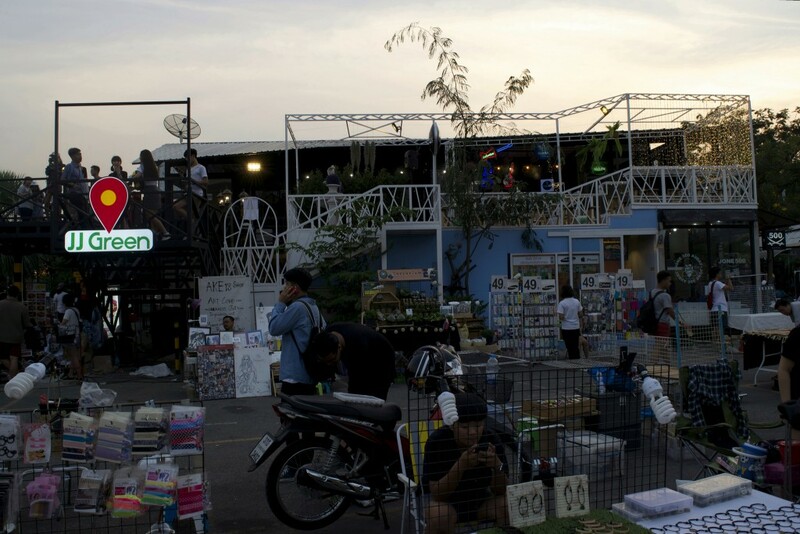 Unlike most markets in Bangkok, JJ Green Night Market is one you can get through in its entirety, without taking hours . It is small, quaint and still has a wide variety of souvenirs and goods to choose from, regardless of its size. There are also many live bands playing throughout the market. JJ Green Night Market, Chatuchak, Bangkok, Thailand, +66 086 567 9959. Affordable: this is the best word used to describe this market. Many of the markets in Bangkok have been discovered, and rightfully so, by the millions of tourists that visit Bangkok every year. For one reason or another, Liab Duan Night Market doesn’t seem to be one of them. This market is also open daily, so don’t worry about missing out on having a true, authentic market experience if your’e only in Bangkok on a weekday. Being that this market is on the outskirts of the city, you can find small, outdoor bars selling dirty cheap booze and some even have hookahs you can pay to use. Liab Duan Night Market, 5, 35/54 Pradit Manutham Road, Nuanchan, Bueng Kum, Bangkok, Thailand. Charge your camera and prepare for the numerous photo ops you will have while exploring Rod Fai Train Market. 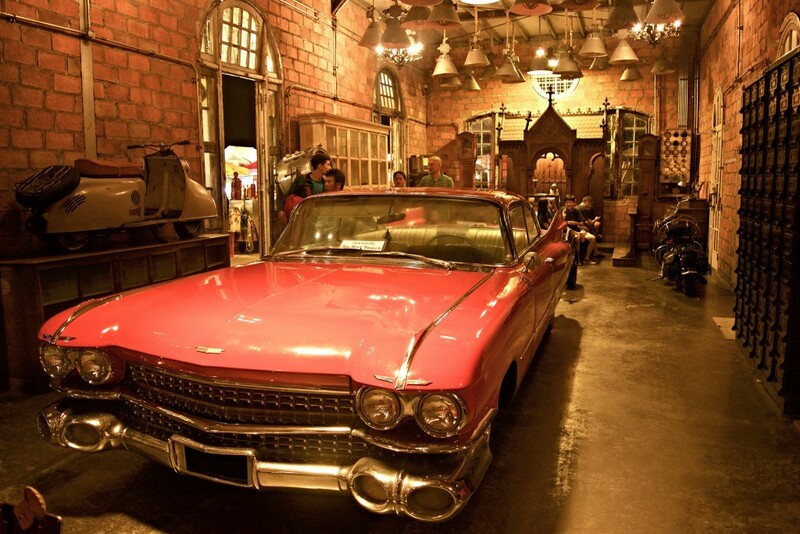 This market is well-known for its antique zone, which is packed full with cars, lights and other goods made long before many of you were even born. Rod Fai Train Market is closest to BTS Skytrain stop On Nut. From there you have to take about a ten-minute taxi ride. It should cost you anywhere from ฿80-100 (less than $3). Rod Fai Train Market, Thailand, Srinagarindra 51 Alley, Nong Bon, Prawet, Bangkok, Thailand, +66 081 827 5885. Chatuchak Weekend Market is one of the most overwhelming markets in Asia, let alone Bangkok. Even so, it is its sheer size and wide selection of goods that make it one of the best markets to explore while visiting Thailand. Chatuchak Weekend Market has everything, from roadside bars to stop at and de-stress from all the shopping to delicious desserts that are a rare treat in Bangkok. To get to Chatuchak Weekend Market, take the BTS Skytrain to Mochit, and you’ll see signs for it on the platform…or just follow the herds of foreigners with backpacks larger than life. Chatuchak Weekend Market, 587/10 Kamphaeng Phet 2 Road, Chatuchak, Bangkok, Thailand. Asiatique doesn’t have Bangkok’s usual counterfeit goods and name brand labels that are anything but real. Instead, this market has genuine unique clothing lining its clean cut vendors. It’s more like an open-air mall than a market, making your entire shopping experience a pleasant one. Getting to Asiatique is a bit trickier. First, take the BTS Skytrain to Saphan Taksin on the Silom Line. Take exit two before boarding a shuttle boat to get to the market. 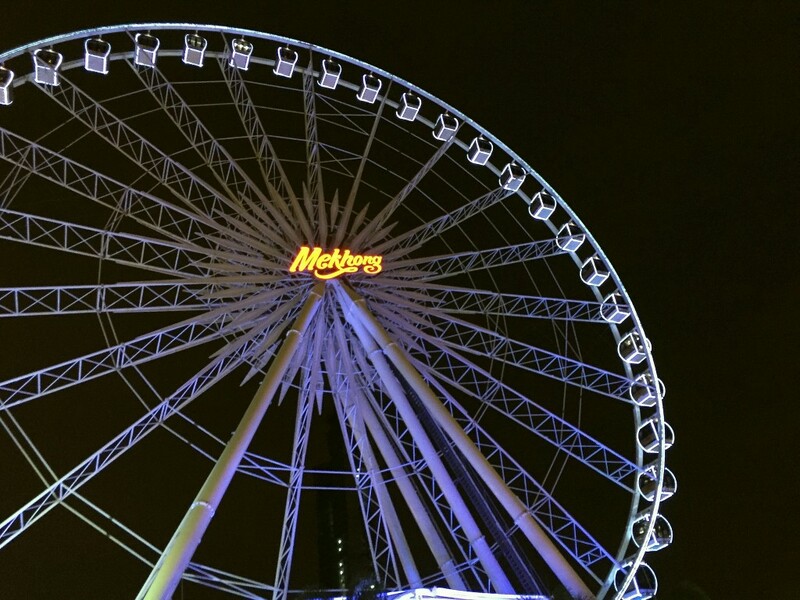 Asiatique The Riverfront, 2194 Charoen Krung Road, Wat Phraya Krai, Bang Kho Laem, Bangkok, Thailand, +66 02 108 4488. While your shopping list might not include flowers, you should definitely visit Pak Khlong, or the flower market, before leaving the city. We guarantee you’ll have never seen so many flowers in one place, unless you have a vehement green thumb yourself. This market is also open 24 hours a day, seven days a week. The easiest way to get to this market is by taxi from the BTS Skytrain stop Saphan Taksin. Pak Khlong Market, 116 Chakphet Rd, Wang Burapha Phirom, Phra Nakhon, Bangkok, Thailand.